Catch us in the Act this Sunday April 15th at the Lagunitas Beer Sanctuary. Throw that bleepin’ return in the mail and then come enjoy some beer and live music! 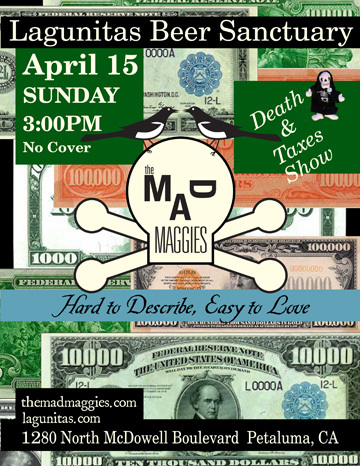 beer, death, Lagunitas Brewing Co., live music.